The seals are back again for autumn! 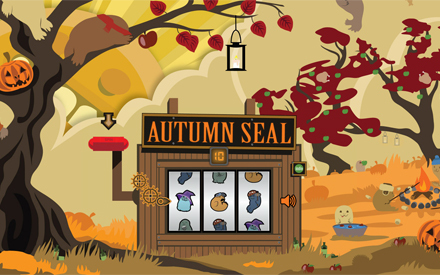 Check out autumnseal.com and the new fall-themed slot machine. As before, you can spin the machine for a chance to get Steam coupons. Games included are all of Frozenbyte’s “Trine” games (Trine, Trine 2, Trine Collection) for 75% off, and the “Goblin Menace” expansion for 50% off. Remedy’s “Alan Wake” and “Alan Wake’s American Nightmare” for 50% off. Almost Human’s “Legend of Grimrock” for 50% off. Plus also Recoil Games’ “Rochard for 75% off. Coupons Trine 2 dissapears from steam inventory! please help me! can you please fix the coupons codes for Trine 2 … they are broken and do not add a coupon to your steam inventory. All the activation screen says is “Steam – “. It says it was successful but noting happens. Already tried twice now. Sorry! We are trying to get the problems with Trine 2 coupons sorted. I’m confused. I won a discount code, and entered it in my steam client (activate a product on Steam) and it says invalid code. How are we supposed to redeem these? Any update on the Trine 2 codes by chance? Burnt through 2 and have a third to use but don’t want to waste it if it’s still having problems today. There are still problems with the coupons unfortunately :/ You can email support(at)frozenbyte.com and we can get you a new code if the one you got is not working.